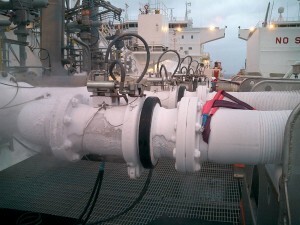 All KLAW Emergency Release Couplings for LNG (Liquid Natural Gas) in STS (Ship to Ship) applications, provide double 100% valve closure upon activation. The KLAW ERC is designed to be light-weight and compact, making handling for installations, maintenance and reinstatement as easy as possible. The Emergency Release Coupling system is part of a truly mobile system that can be transferred from and to any vessel if required. All KLAW LNG STS ERCs are Class Approved and 100% proof tested in ambient and cryogenic conditions at our in-house testing facilities. Our product testing procedures are your assurance of quality and compliance. 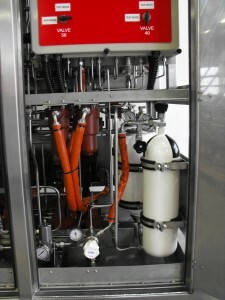 Used in conjunction with the KLAW Cryogenic STS ERCs, a Hydraulic Power Unit provides a continuous circulating heating system to all the connected ERCs and at the same time facilitates the release of the couplings under different scenarios and conditions. Additionally the hydraulic power units are used to reset the Emergency Release Couplings following an activation.